My parents took me to see Paul Simon play at the Hollywood Bowl in the summer of 2016. I still remember it being one of the best, most heartwarming, most exciting concerts I’ve ever been to. We were sitting way way in the back; Paul Simon was just a speck on the faraway stage. But he filled the whole 17,500 seat amphitheater with so much sound and emotion that no matter where you were sitting, every song felt intimate and personal. The first Paul Simon album I listened to was Graceland (1986), of course. I had heard the classics before, including “The Sound of Silence” from his Simon & Garfunkel days, a song that for some reason I learned to sing during music class in elementary school. So I like to think I’m a lifelong fan. But Graceland was the first piece of Paul Simon that started to mean something to me. I think the first time I listened to it the whole way through was on a road trip. Fitting, I know. That album reminds me of so many things; of all the road trips I’ve ever taken, of my parents, of home. And strangely enough, it reminds me of somewhere I’ve never even been before. With the African melodies that Simon infuses in his Americana music, it reminds me of places far away and of every corner of this country that I call home. And it’s sad, there’s no doubt about it. But it’s so happy at the same time. It’s hopeful. Graceland itself is a biblical place, a destination from a long journey, and somewhere where all his troubles will be absolved. It’s just one of the many songs on the album that is impossibly beautiful and filled with so many emotions that you can’t ever pick just one. I recently watched his 1986 Saturday Night Live performance of “Diamonds on the Soles of Her Shoes,” another highlight of Graceland. I already knew the song back and forth, all five minutes and 49 seconds of it, but seeing it performed live just gave the song another dimension of pure joy and beauty. Backed up by an African male chorus, it sounds unlike any other “American” music from that time, or from any time for that matter. And to see the chorus sing and dance alongside Simon, seemingly enjoying every second of the performance, added another layer to the already perfect song. I remember trying to write my college essays senior year of high school, and a teacher told me to write about something that meant a lot to me, so I started writing about Graceland. I never used the essay, but in it I tried to explain all the road trips I had been on, all the times I had listened to it, and how it helped me figure out that music really meant something to me. 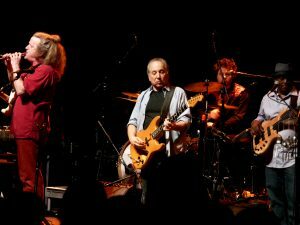 I tried to explain how much my parents love Paul Simon, and how much I love my parents, and how it was something that connected me to my family. I tried to explain that it may have been one of the first pieces of truly good music that I ever listened to. So here I am, trying to write about it again, still struggling to put into words how and why I love Paul Simon the way I do. 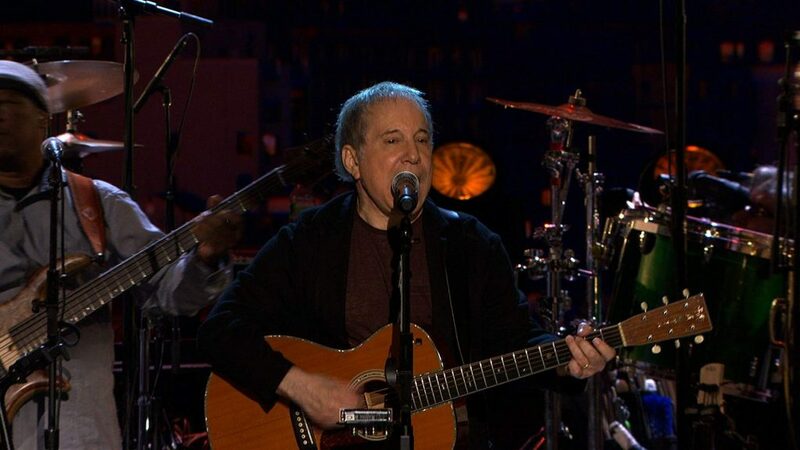 Paul Simon is just so impossibly good, and I know its not as simple as that, I know there is so much that makes him so good, but sometimes that’s all you can say. His fan base spans generations and his music spans genres. It’s impossible to listen and to not like every second of his music. Her words are written for all Paul’s fans that love his music. Since my teens every song brings deep emotion flooding back. My first love, my first freedom, my first peace, and my life long career as a palliative care nurse. Feeling despair, lonliness and silence. All journeys though my life. Well written article thank you.